Birthday Trivia Booklet from the Year You Were Born. 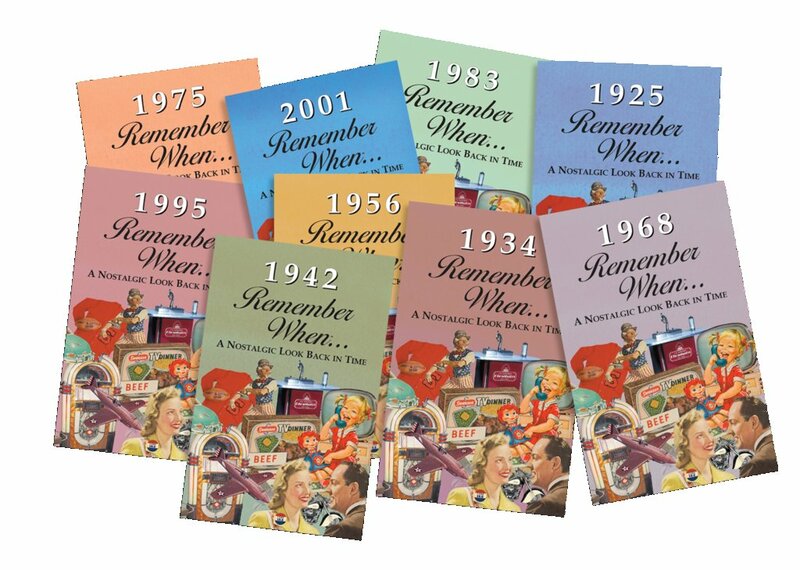 This 24 page paper Remember When birthday trivia booklet from your special year includes headlines,sports, prices, facts & color magazine ads from your favorite publications from the year you were born. Paper cover. Perfect way to remember what happened that year and remember when things were different. For the years 1929-2001. 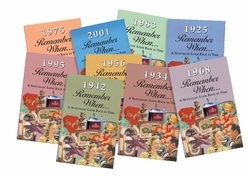 Nostalgic birthday remember when year booklet. See also our fake newspaper. I was very pleased with these nostalgic birthday cards. Very reasonably priced, and they arrived promptly. I would definitely order more of these for other family members and friends. Thank you! This trivia booklet is so great! It is so handy to have around and the recipient is usually delighted to receive the booklet. Just what I was looking for.....Thank you for offering this item......Very pleased.